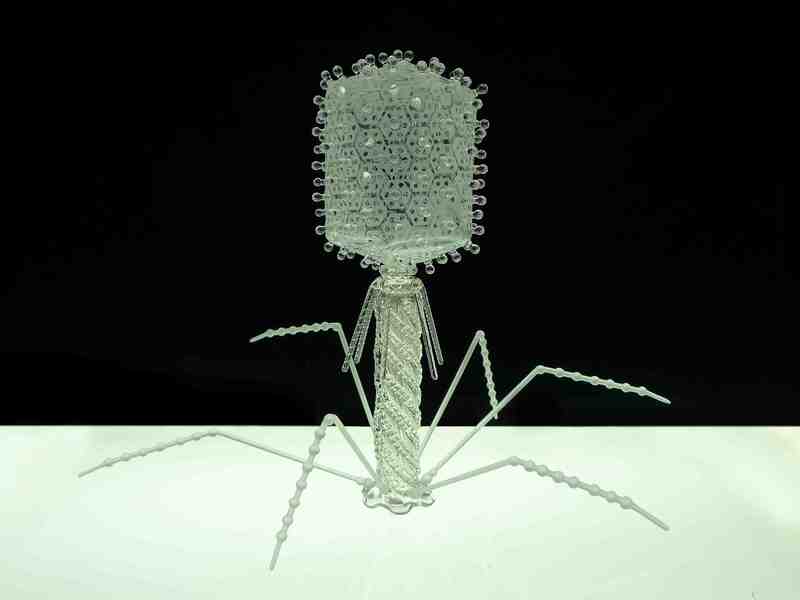 Infectious diseases are always scary, but they look especially menacing in glass. 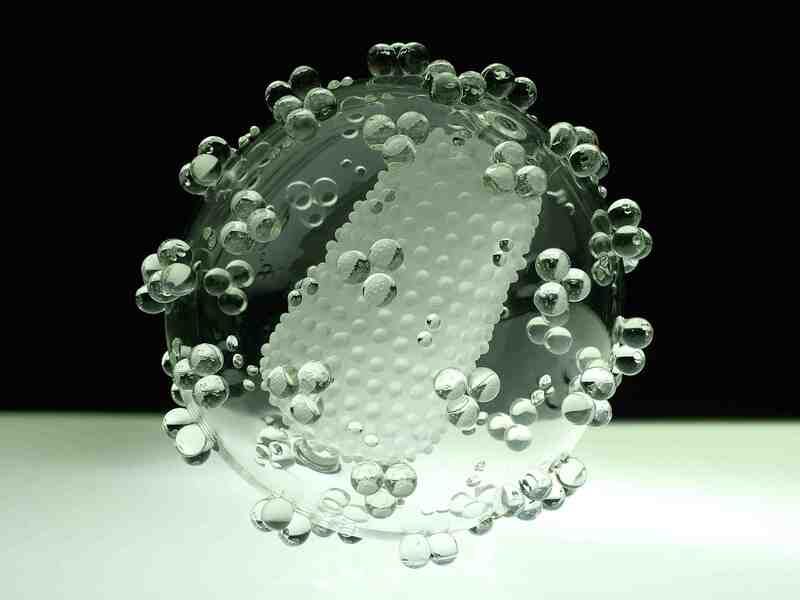 That's one impression left by the works of sculptor Luke Jerram, who has created a series of disconcertingly beautiful glass representations of some of the world's most notorious viruses. Jerram's initial motivation for the project was practical: He thought it was misleading that viruses are usually depicted in color when in fact they're smaller than a wavelength of light (and therefore, colorless). 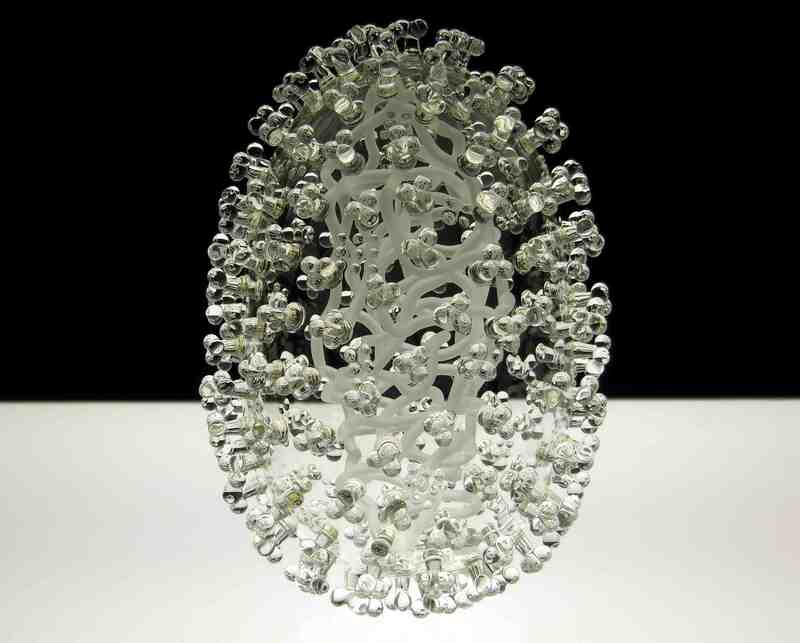 Images of Jerram's sculptures have been used for educational purposes in leading scientific publications. His work, which is currently on display at the Museum of Art and Design, has also been successful as art and, indeed, nothing would seem to set the tone for certain occasions (divorce proceedings; home foreclosures) quite like a perfectly imagined version of smallpox on the mantle.